Composed of Meredith Carruthers and Susannah Wesley, who’ve worked together since 2004, Leisure explores such creative avenues as curatorship, publication, the organization of workshops and conferences, and the production of artworks. The duo’s first solo museum exhibition, How One Becomes What One Is, testifies both to the artists’ feminist sensibility and to their penchant for historical research and archives. The exhibition brings together a selection of projects that revisit the lives and works of seven female artists who left their mark in the first half of the twentieth century—some are well-known today, while others have been relegated to the footnotes. 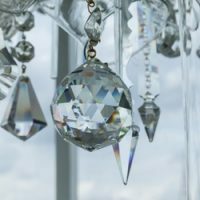 Often taking parallel paths while relying on more peripheral disciplines or genres in art history (landscape, still-life, dance), these pioneering women based their approach on their particular experiences. Their artistic creations and their methodologies for collaborative work are equally stimulating for Carruthers and Wesley, who are also attentive to the challenging combination of desires, aspirations, personal and family life, a tension they transform into a creative force. “We study other lives so we might better live our own,” says historian Joseph Ellis, cited by Susan Harrington in a work dedicated to Cornelia Hahn Oberlander, one of their inspirations. That thought could well stand as Leisure’s motto, interested as they are in these women for the models they propose, often refusing to choosebetweenin order to embrace everything, including home life, with all the challenges that implies. How does one become what one is? By emphasizing training, personal development, the construction of self by and through the construction of the work, Leisure brings attention to the creative process, which never occurs in a vacuum. These women whose lives and works are here examined, short of being partners as such, become Carruthers’ and Wesley’s counterparts, occupying particular positions in their intellectual and affective map, materialized of sorts in the exhibition, which takes its form from collage and assemblage. Leisure’s works speak to each other in the space, activating a network of references that have accumulated and crossed paths over time. 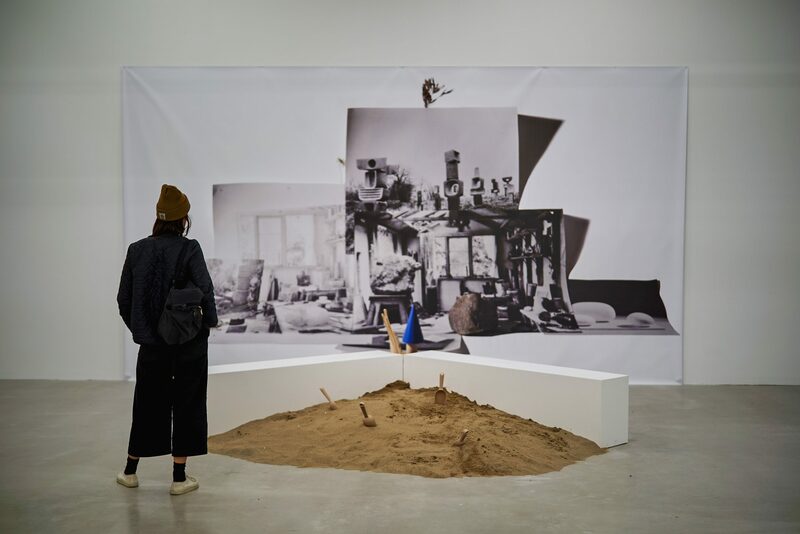 They testify to a rich dialogue by which the duo sustains and regenerates itself, playing with ideas, images, and objects, found or constructed, that act as intuitive, indeterminate pointers to the histories and legacy of the feminist models that inspired them. Variously adapted to the present, these histories open onto broader reflections that suggest new ways of being in the world, of imagining one’s relationship to oneself, to others, and to one’s environment. It is up to each visitor to follow the thread of this great narration, across the temporal divide, and to enter the dance themselves. Creativity, with its connection to pedagogy, is a central concern and fascination for Leisure. They made it one of their main lines of research in recent years. Each in their own way, their projects Panning for Gold / Walking You Through Itand Conversations with Magic Formsexplore various strategies for turning visitors into active participants. 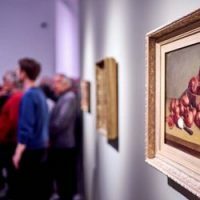 They are especially addressed to children, a category of visitor often overlooked by fine arts museums, which invariably enforce strict visitor regulations—no touching, no running, no shouting, and so forth. 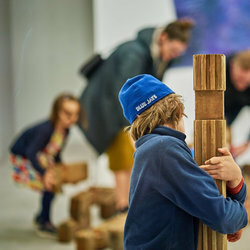 These works take their inspiration from a conversation the duo had regarding The Theory of Loose Parts, articulated in 1971 by Simon Nicholson, an educator and environmental designer. The son of sculptor Barbara Hepworth (1903-1975) and painter Ben Nicholson, he developed an approach that favours independence and discovery in learning, which he viewed as indistinguishable from play and pleasure. His theory favours spontaneity and insists on the importance of establishing a non-prescriptive framework that proposes a great variety of materials with which to interact in a variety of ways. It suggests that children, by inventively manipulating their surroundings, become aware of their ability to act upon their living environment, which becomes a prelude to their development into adults inclined to transform their reality. Carruthers and Wesley also trace these principles in the writings of Barbara Hepworth and of landscape architect Cornelia Hahn Oberlander (1921 – ), writings that dealt with their respective creative processes. In fact, it is by observing her children play that Oberlander developed some of the ideas for the playground that she created in 1967, on the occasion of Montreal’s Expo 67. Hepworth, for her part, describes her studio as a mess of rocks, cumbersome flowers, dirty laundry, children, and sculptures that has nothing to do with the austere productions of her colleagues Piet Mondrian and Ben Nicholson, all in all a living space from which she drew a joyous inspiration. These historical references are cited and put into play in the exhibition. The modular blocks of Expo 67, identically reproduced, are set along side bits of the playground’s original landscaping, of which the “loose parts”—manipulable elements of water, sand, branches, and stones—form an intriguing puzzle. An area dedicated to the creation of hollow-cast plaster sculptures is located in front of a view of Hepworth’s studio. 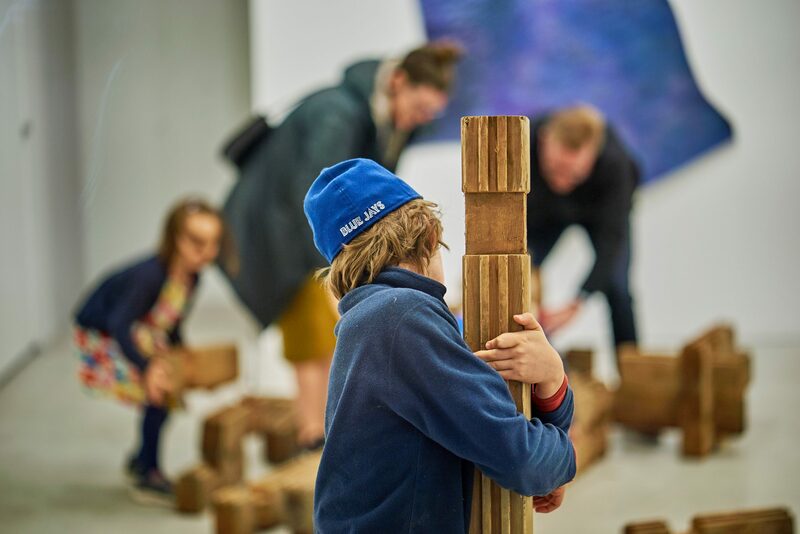 With these two projects, Leisure blurs the limits between gallery space and playground, between studio and creative workshop, while also engaging a reflection on education, a subject that crops up naturally in their everyday lives as they are mothers of young children. They insist on the importance of encouraging active involvement for learning and comprehension. 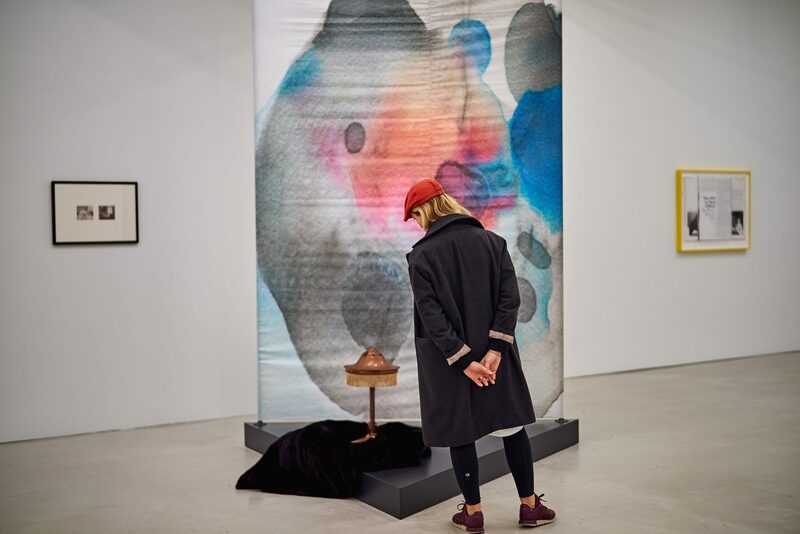 © Leisure (Meredith Carruthers & Susannah Wesley), views of the exhibition How One Becomes What One Is, Musée d’art de Joliette, 2018. Photos: Romain Guilbault. Leisure is a conceptual collaborative art practice between Meredith Carruthers and Susannah Wesley, based in Montréal. Working together under the name “Leisure” since 2004, they engage with cultural historical narratives through research, conversation, published texts, curatorial projects and art production. Leisure has produced exhibitions and special projects in Canada and abroad, and participated in residencies in St. John’s (The Rooms, Newfoundland, 2016); Dawson City (KIAC, Yukon, 2010); Vienna (Kunstverein das weisse haus, Austria, 2008) and Banff (Banff Centre for the Arts, AB, 2007). 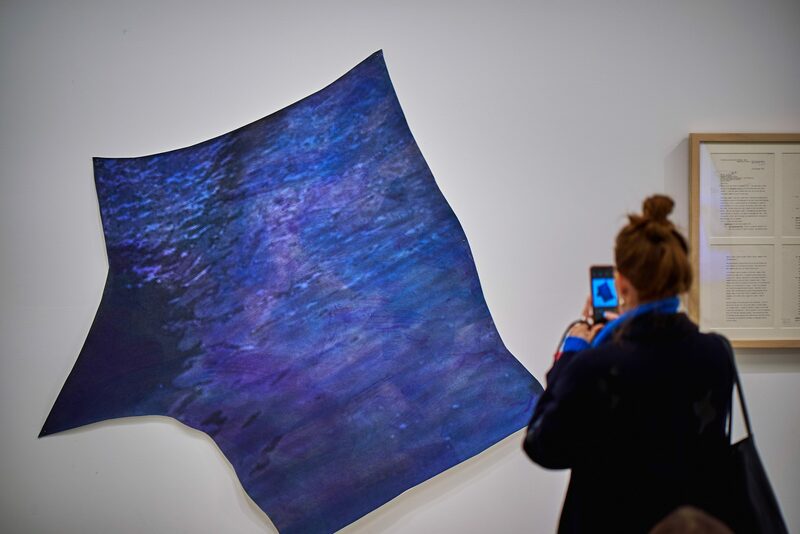 Their recent research on collaborative gesture and spatial narrative has included, Conversations With Magic Stones, exhibited at VU Photo, Québec, 2017 and as part of The Let Down Reflex, EFA, NYC, 2016; Panning for Gold/Walking You Through It shown at the Musée d’art contemporain de Montréal, 2017 and Dualité/Dualité exhibited at Artexte, Montreal, 2015. Leisure is in the permanent collection of the Leonard & Bina Ellen Art Gallery in Montreal.